So I recently finished binge watching Avatar: The Last Airbender with Ally (it was a re-watch for her) and absolutely LOVED every single minute of it! 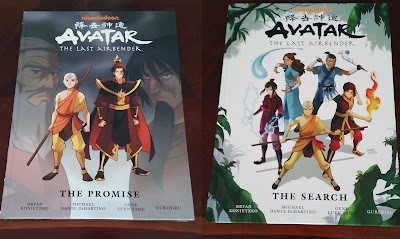 Of course I needed MORE, especially after that finale, and I remembered hearing about some Avatar graphic novels. I very quickly headed over to Amazon and found exactly what I was looking for, and even better, I had a gift card that I feel was used most resourcefully. :D I picked up two of the graphic novel collections, which were both originally published in three parts. These are really beautifully packaged hardcover editions, with notes from the creators in the margins and sketches of the characters. I also picked up Asunder by Jodi Meadows for $1 at the dollar store, which has become my new favorite place to check out for bargain books. 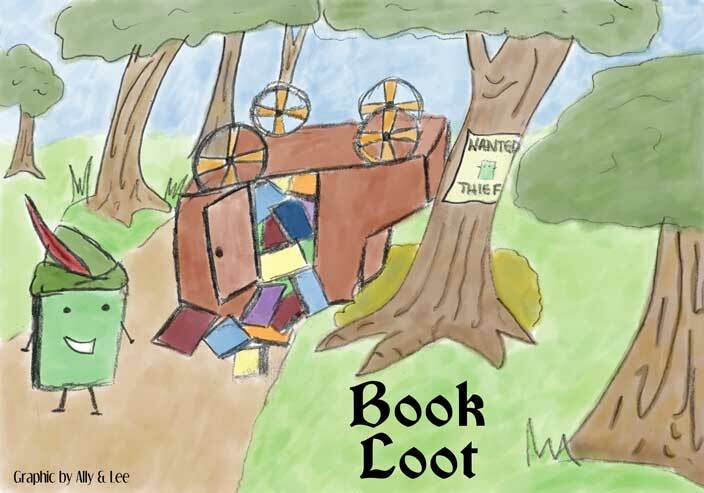 The selection is small, but it changes often and you never know what you might find. 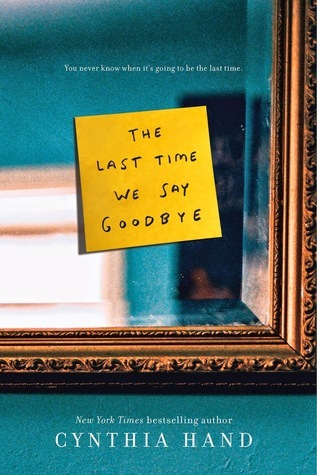 I also grabbed the eBook of The Last Time We Say Goodbye by Cynthia Hand, which was on sale for $1.99. Avatar is awesome! I used t watch that with my son but I never got to finish the series. The movie adaptation sucked though. I heard that CHand contemporary is good! Ally has already warned me that the movie is horrible, lol. You totally need to finish watching the TV series- the finale is EPIC! Ooooooh, Avatar!!! That is the best show ever! I loved watching it =D. 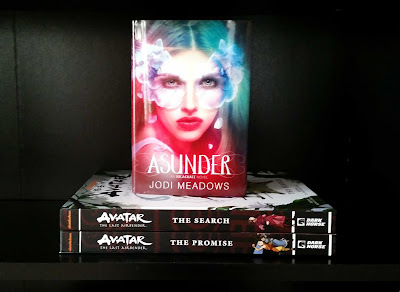 I also love reading the comics, but I never realized they had those beautiful hardcover editions, I needs to get the now :D.
I have a bad habit of reading the first book in a series, and even when I love it, I'll take forever to read the sequels, lol. Avatar IS the best show ever! :D I plan to rewatch the whole series from the beginning very soon because one viewing was not nearly enough, lol! Eeeep! I'm envious of your gorgeous hardcover editions of Avatar ♥ I might just have to upgrade my own once I catch up on all my bills and boring real life stuff >.< I'm just so happy that you LOVED Avatar as much as you did :D Seriously, it's one of my favorite stories of all time! I think me and the bf have rewatched it like 6-7 times now and it never gets old. Aang is such an amazing hero! I also adore how strong the female characters are throughout the series - they never need any boy to come to the rescue :D Sokka of course is brilliant and funny, I love him to bits. But then, there's Zuko. ZUKO!!! THE best character arc in the series ♥ Gah!